It’s a place to sip cappuccino, enjoy a biscotti, then pick up brie and a bottle of wine for the evening. 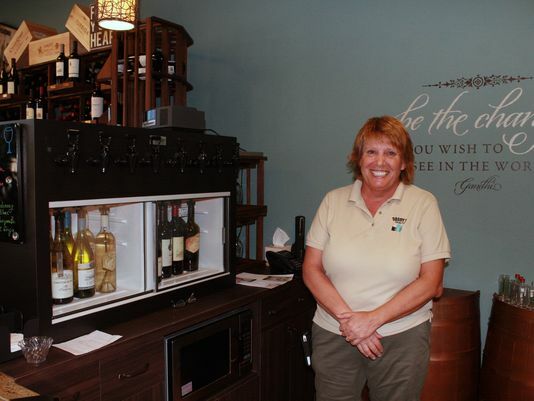 Dagny’s Spirits, which opened in Naples in April, is a combination coffeehouse, wine bar and liquor store. Co-owner Kate Keillor came up with the concept after more than 30 years in the corporate world. Inside Dagny’s, visitors relax at outdoor tables or in a sunlit lounge area while they flip through copies of Wine Enthusiast or TIME near wine barrel tables stamped with “Chateau Ste. 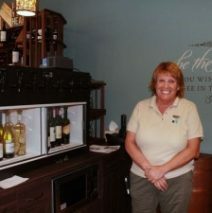 Michelle.” They chat with friends over wine by the glass, log onto free Wi-Fi or visit a bar with Concordia self-serve coffee machines and a variety of teas. Dagny’s offers cookies, florentines, truffles, muffins and more from Mickkelsen’s Pastry Shop in Naples. The back area of Dagny’s is a full liquor store, with a few meats — such as Boar’s Head prosciutto and salami — and cheeses ranging from Castello’s Danish Blue to Il Villagio’s Parmigiano Reggiano for sale. Keillor is working to get the word out about Dagny’s with special events such as a painting night, wine tastings, live music, book signings and more. “The concept is a little bit foreign to people so we’re trying to communicate the coffee side of it,” she said.